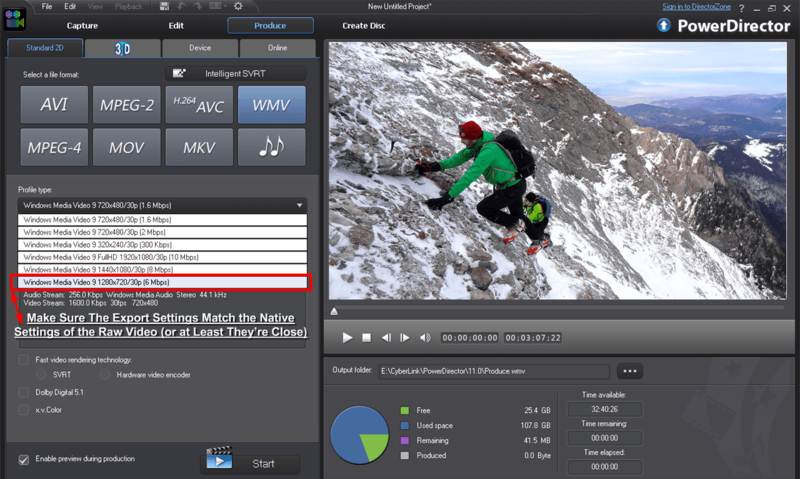 PowerDirector by CyberLink is ranked as consumer's best video editing software. But this doesn't mean you cannot achieve professional results since the program has tons of effects and features that you can use. Anyway, let's get one thing straightened: if you want to vlog on YouTube, the video editing program itself has almost nothing to do with it.Vlogging is nothing more than personality display. You gotta be interesting, intriguing and entertaining. Period. Now, if you wanna edit with lots of effects, color correction, slow motion, keyframing, tilt shift, cropping, picture in picture, etc. then yes - the software is more relevant. So if you don't wanna drop hundreds or even thousands of dollars on professional editing software then have a look at PowerDirector or any in the top 10 chart for that matter. Let's get another thing straightened: if you want to create a good video you have to spend many hours editing it. Not only that but you should be thinking a bit about the editing even before you shoot. In other words, video editing can be hard and time consuming. Do not be seduced by the glamorous life of a prolific YouTuber - a lot of hard work is involved. You've been warned. Let me walk you through the few steps of Easy Editor from PowerDirector. This works very well for vacation videos where you don't want to manually browse through tons of footage. The Easy Editor edits the video automatically for you. However, you can later edit the result manually if you're not satisfied with what you get. Again, if you want your video to be great, you must put in some time yourself - but this is a great way to start. Okay, so as you open PowerDirector you get this window (see picture below). Select Easy Editor. Now we have to follow the 5 steps to make our video. First we wanna select our source footage. In order to select more files hold down the CTRL key and click on each file that you want to add to your video (or you can hold down the Shift key and click the first and the last files - all the files in between these will be added, including the first and last file selected). Select a theme for your video. These are pre-defined templates with effects and transitions. Please note that the heavier the effects the more load you'll have on your hardware resources. I did two videos, one with the Extreme Sports style and one with Fast Movement style. The extreme sports style had some export issues (blank screen for a few seconds here and there) - I guess this was because my laptop is a 2008 Dell with only 2GB of RAM (which is barely enough for HD video editing). Add a music track to your video. Adjust the threshold between the native video sound and the music. Match the duration of the video to the duration of the song. You may wanna check out a list of royalty free music sources for your YouTube videos. Let the software do the work for you. Go smoke a blunt. No! I was kidding. Smoke two. No!!! Eat an apple or something. Why do I have to tell you what to do?! If you simply wanna get it over pick Produce Video. If you wanna adjust your edit pick Advanced Editing. This is where the real magic happens. You can play with transitions, titles and effects. For these and more, consult this list of PowerDirector tutorials. For your convenience I'm going to embed a few below. The shorter, the better. But it all depends on your style. A vacation video should be 3 to 5 minutes long. A good vlog with tons of storytelling can be longer (as long as you're entertaining). If you like fancy editing, then you should master the Holy Grail of Video Editing: Alpha Masks and Keyframing. Look into it. So pick your export format and then click Start. The program will compile (Produce) your video. Watch as the video is being exported. When it's done, upload it on YouTube and Facebook. By the way, here's why Facebook is better than YouTube for video sharing. Please note that the cuts are almost the same in these two videos. The Extreme Sports style has more effects and transitions and some blank scenes where the rendering had issues. If you don't want to edit manually and want to have more versions with the same source footage, use a different song for each version. Then the software will likely make different cuts. 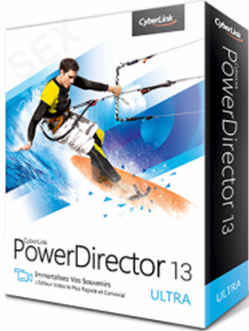 PowerDirector is an excellent video editing program for beginners and amateur videographers. It's not perfect and since it has many features it can be overwhelming, especially in the beginning. But once you get to learn the basics and a few other tricks, you can get professional results. It also comes with access to DirectorZone where you can get free templates, tutorials and support from the community members. You need a decent computer to run it, otherwise you may experience issues when exporting. All in all, when you consider it comes with a 30 days money back guarantee, you're sure you've got nothing to loose. So, get your original PowerDirector today and start building that fame on YouTube. You can do it!